Because Lactobacilli are the dominant good bacteria found in a healthy vaginal tract, Primadophilus Fortify Women's probiotic is formulated with 50% more Lactobacilli than Bifidobacteria to help support women's health. 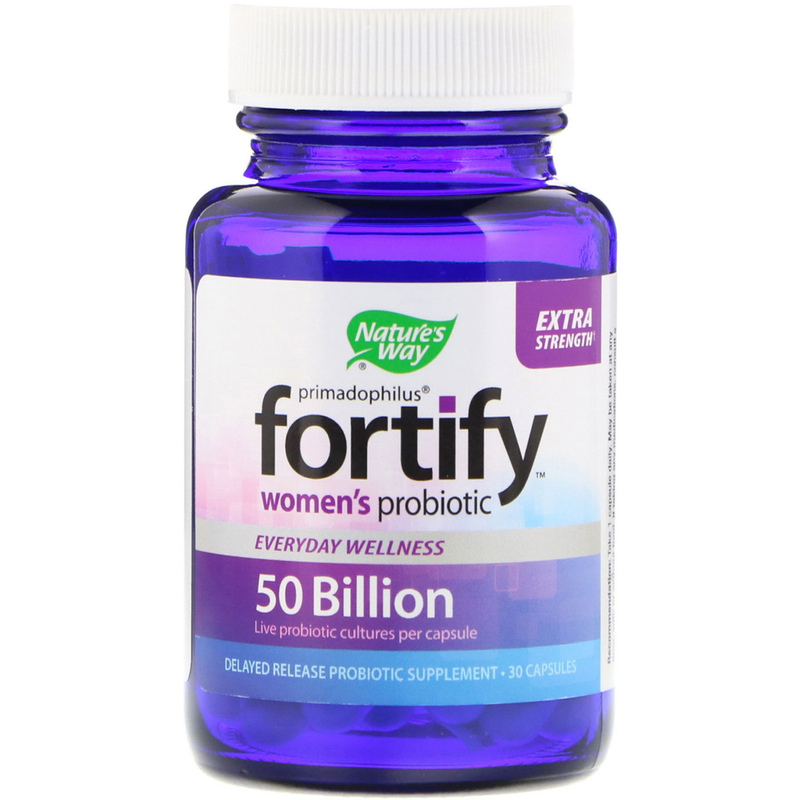 20 billion Bifidobacteria to support your colon. Primadophilus Fortify capsules resist stomach acid better than standard capsules to help deliver probiotics to the intestine. 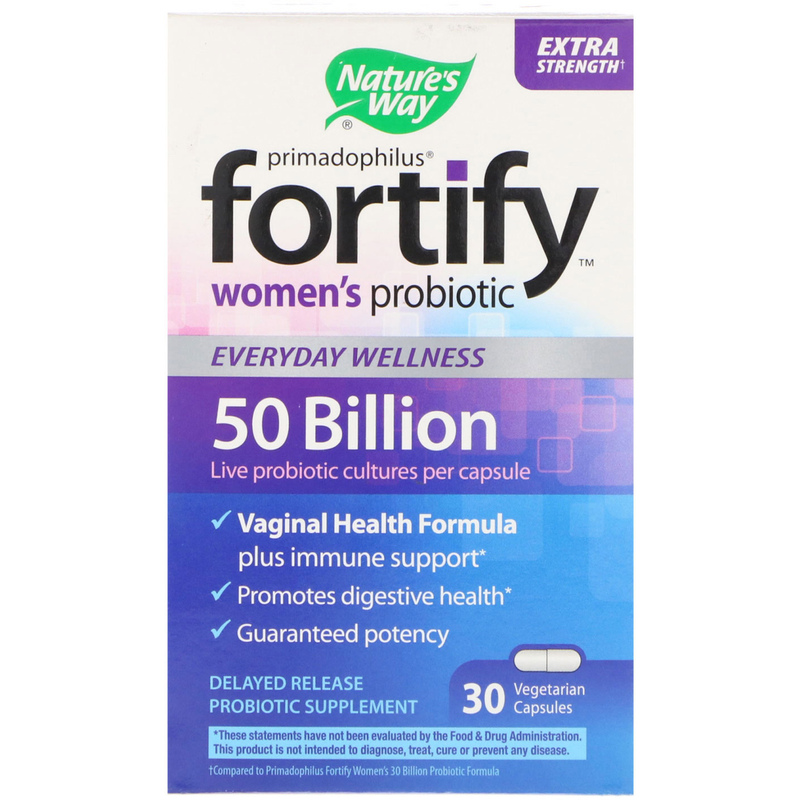 While many probiotic brands only provide 1 to 10 billion live cultures per serving, Primadophilus Fortify Extra Strength† are powerful formulas with 50 billion live probiotic cultures per capsule to help balance and replenish your intestinal tract. 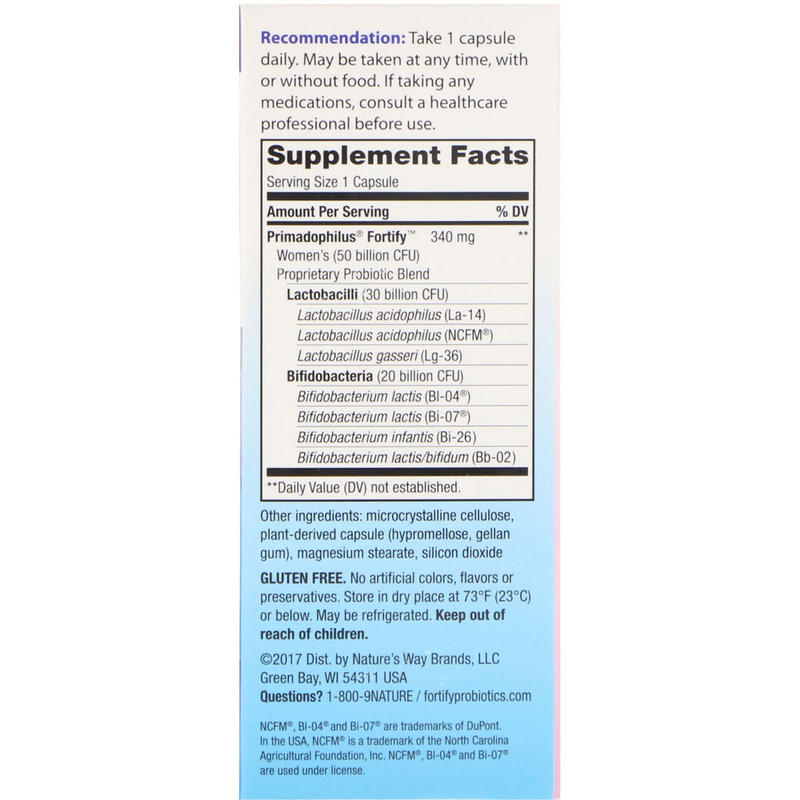 The 50 billion potency of this product is guaranteed until expiration when stored under recommended conditions. Recommendation: Take 1 capsule daily. May be taken at any time, with or without food. Gluten free. No artificial colors, flavors or preservatives. Store in dry place at 73ºF (23ºC) or below. May be refrigerated. Keep out of reach of children.